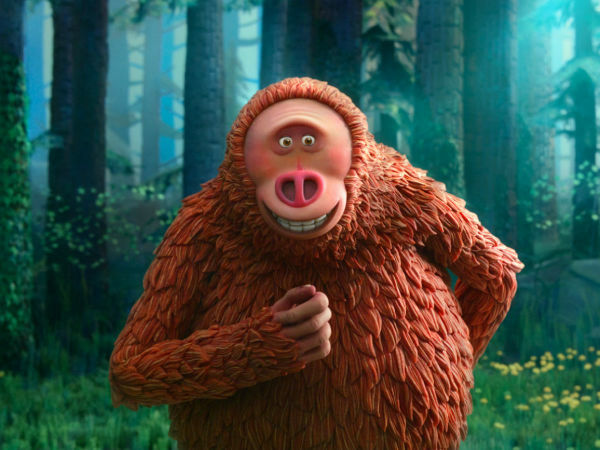 Disney’s grand attempt to remake most of its beloved animated films into live action ones has hopscotched back-and-forth in history, ranging from the 2015 re-do of 1950’s Cinderella to the forthcoming second attempt at 1994’s The Lion King. It has now gone back to one of its earliest movies, and an all-time weepie at that, 1941’s Dumbo. 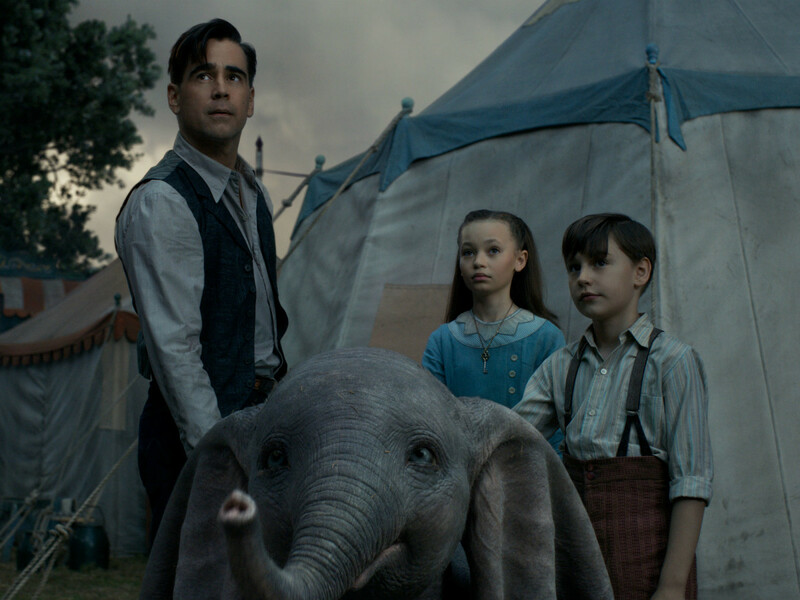 This version of Dumbo is helmed by director Tim Burton, who already has experience remaking a Disney classic with 2010’s Alice in Wonderland. 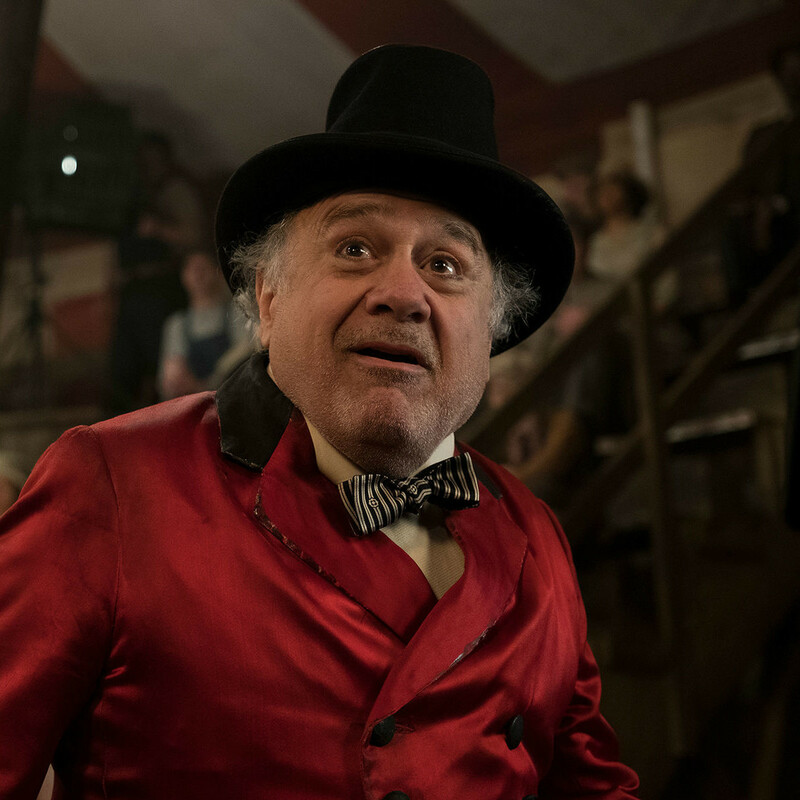 As the original Dumbo was slight, clocking in at just over one hour, the update is fleshed out with a number of human stories to complement that of Dumbo and his mother, Mrs. Jumbo. 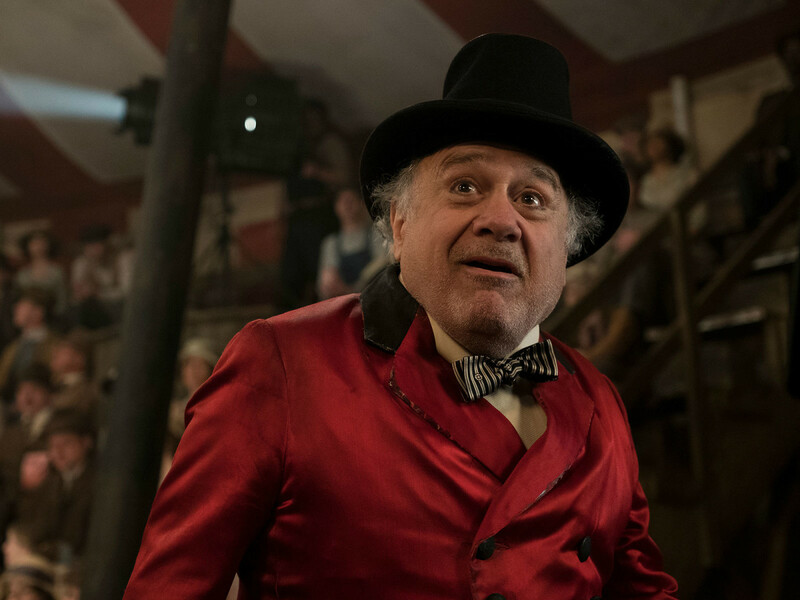 Holt Farrier (Colin Farrell) returns from World War I, minus one arm, to find that his job in the circus of Max Medici (Danny DeVito) has been all-but-eliminated due to financial troubles. Medici can only offer him the lowly position of elephant wrangler, in which he is assisted by his children, Milly (Nico Parker) and Joe (Finley Hobbins). 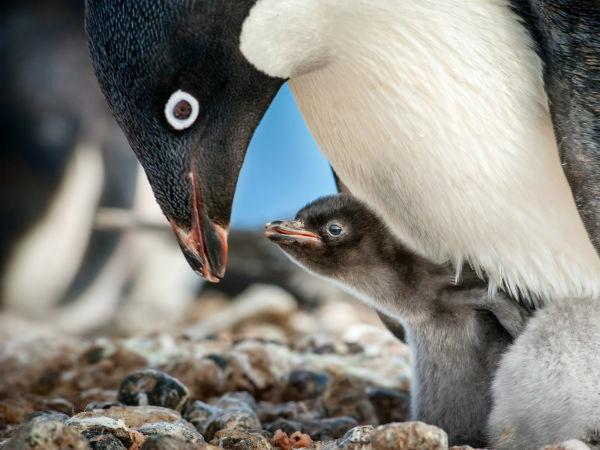 Milly and Joe soon discover that the newly-born Dumbo, shunned by most because of his overly large ears, has the unique ability to fly. When his talent comes out in the middle of a show, word soon makes its way to V.A. Vandervere (Michael Keaton), who owns a Disneyland-esque theme park and will stop at nothing to make Dumbo his prime attraction. 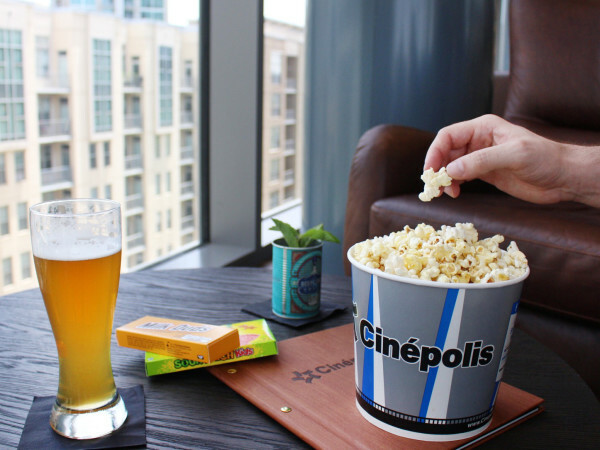 The beats of the story you may remember from the childhood favorite largely remain the same, but because of the need to add in more subplots, the emotional impact of the film is significantly lessened. 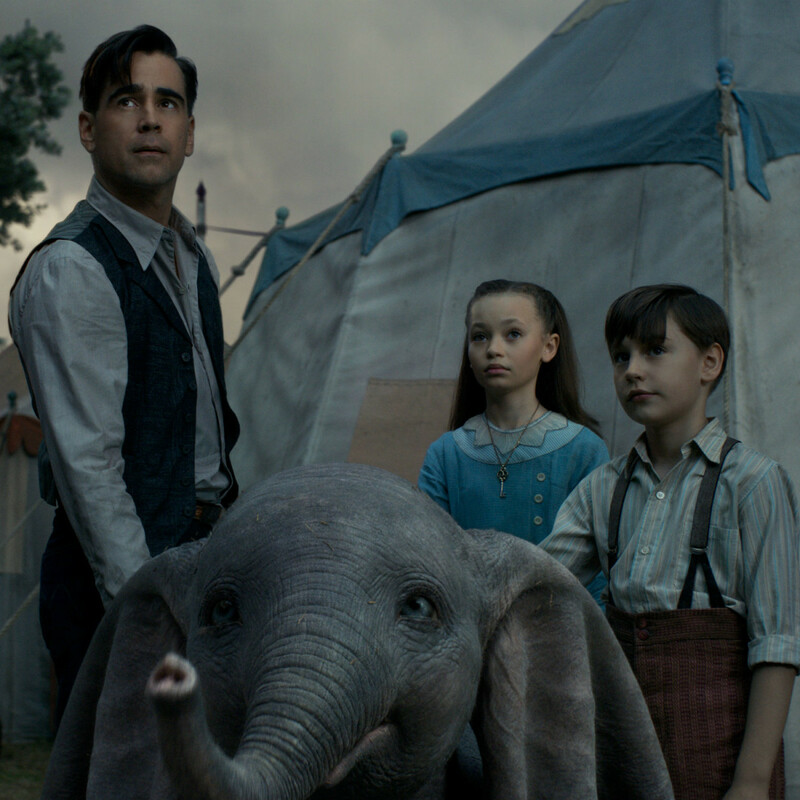 Dumbo being mocked due to his appearance and his separation from his mother still have the ability to anger and/or sadden, but the other elements of the story don’t hold the same sway. That’s mostly because the human characters in the film are either played way over the top or subtle to the point of ineffectiveness. Keaton and DeVito chew the scenery to such a degree that they distract from anything else in their respective scenes. On the flip side, Parker and Hobbins underplay their characters so much that you wonder why they aren’t expressing more awe, sadness, or joy at the events they see transpire. To be fair, nothing in the film is supposed to be realistic. It’s a fable that’s meant to inspire with Dumbo’s ability to overcome his lot in life, and it’s relatively effective when it focuses on that. 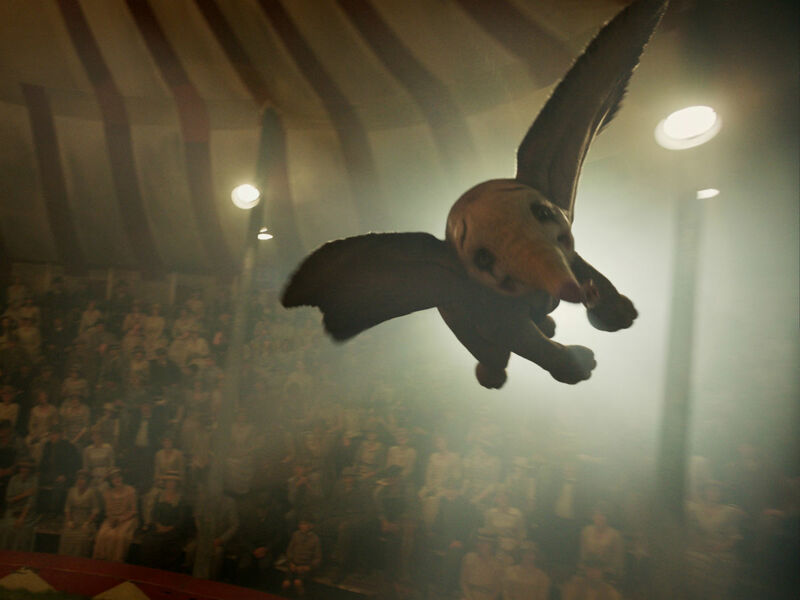 Burton and writer Ehren Kruger offer up multiple chances to see Dumbo soar through the air, and even though it’s computer generated, the sight of the cute pachyderm flying is still a joyous thing to witness. 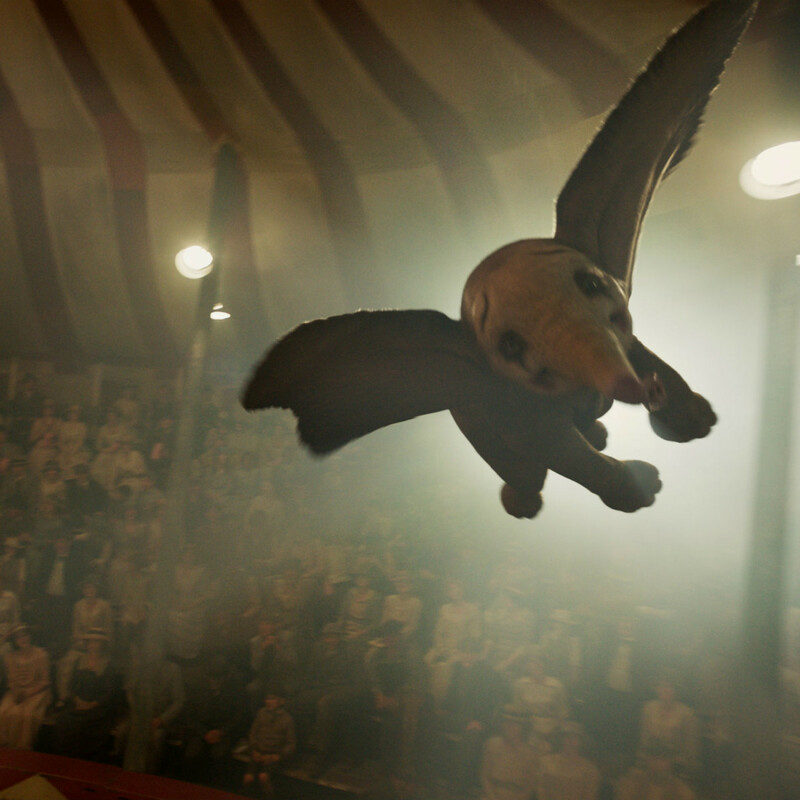 The new Dumbo is not blatantly bad; rather, it’s a mostly bland affair that doesn’t justify the effort it took to remake the film. The story moves away from being solely Dumbo’s journey, and the emotions that removes can’t be replaced.